Increased scooter sales offset a drop in motorcycle sales, but both segments reported increases in net sales for the Piaggio Group in the first quarter of 2012. 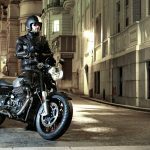 According to Piaggio‘s first quarter report, the Group sold 9,400 motorcycles worldwide, down 8.2% from the 10,300 units sold in the same quarter last year. Scooter sales however saw a 7.9% increase to 79,200 units from 73,400 units. The Piaggio Group’s two-wheeled vehicle brands include Aprilia, Moto Guzzi, and Vespa, as well as Derbi, Gilero and Scarabeo. 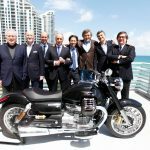 Despite the drop in units sold, net sales from motorcycles actually increased 10.4% to 44.4 million euros (US$57.7 million) from 40.2 million euros. Net sales from scooters also increased by 8.4% to 154.0 million euros (US$200.3 million) from the 142.0 million euros reported in the first quarter of 2011. 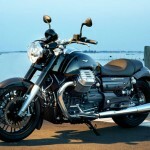 Moto Guzzi in particular had a good first quarter with revenues increasing more than 50%. Most of the gains came from increased sales in Asia (up 54.8%) while western markets posted a 0.7% gain from 2011. Piaggio’s two-wheeled vehicle sales in Asia increased 58.0% to 27,500 units from 17,400 units. 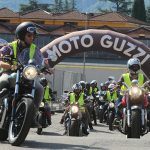 Motorcycle and scooter sales in western countries decreased 7.7% however to 61,200 from 66,300 units. Piaggio’s North American sales are doing well however, with shipments increasing 69.8% and net sales up 156.5%. Sales in Europe are decreasing however, including in prime markets Italy and Spain. Despite increased net sales in its two-wheeled business, the Piaggio Group reported an overall 2.4% decrease in net sales thanks to a shrinking market for the Group’s commercial vehicles such as the three-wheeled Ape. Overall, the Piaggio Group reported a net profit of 3.2 million euros (US$4.2 million) over the first quarter of 2012, up from 3.0 million in the same quarter last year. Looking ahead, Piaggio expects continued growth in Vietnam with its local factory set to more than double its production capacity by 2014. 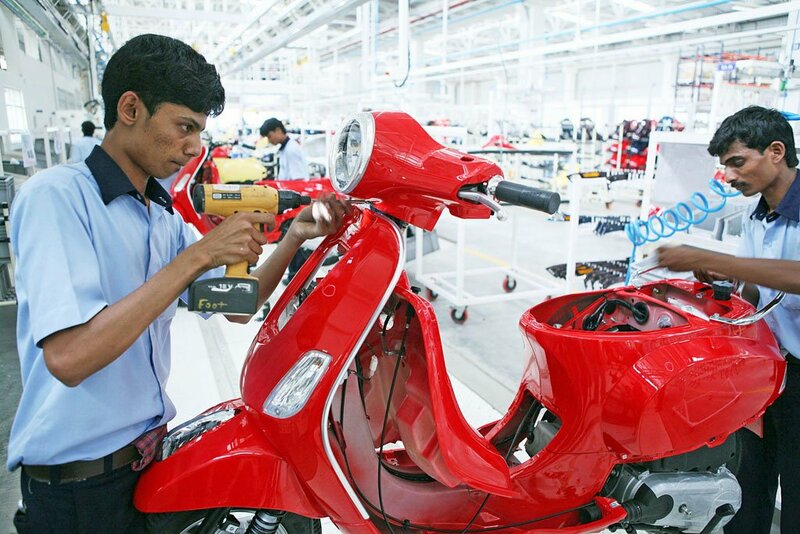 The Piaggio Group also expects strong returns from the re-introduction of Vespa scooters to India. A new factory in Baramati, India, began operations in the first quarter. In western markets, Piaggio forecasts growth from its Aprilia and Moto Guzzi brands.